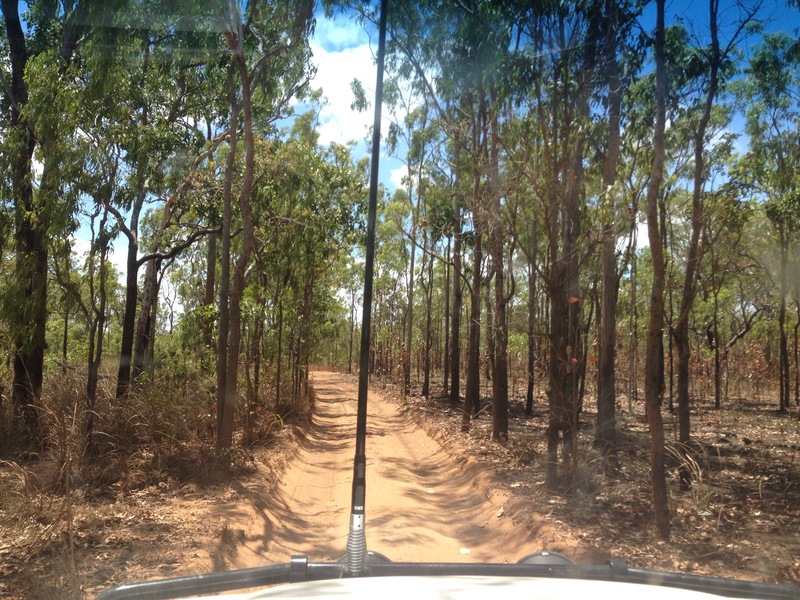 We are on our way back from an odyssey to Cape York, the northernmost point in Australia and home to one of the country’s most well known 4WD tracks – the Old Telegraph Track. Cape York is about the size of Florida, but it has very few roads, none of which are paved, and many that are only vaguely maintained if at all. The exploration of Cape York is infamous in Australian history, with several ill-fated expeditions, and today the explorer’s spirit lives on in the Old Telegraph Track, a long brutal track with corrugations, deep ruts that punish. We began the trip apprehensive and excited. Cape York and the Telegraph track specifically is a much discussed topic amongst 4WD enthusiasts in Australia and as we moved closer to “the tip” (the northern most point in Australia located on Cape York) discussions about who was doing the trip and if so which parts of the track to tackle was a common discussion with other travelers we met on the road. There were so many things to consider. Were we too late in the season to do it before the Wet season began and the roads could become impassable? Was our car up to the journey? Could we tow our trailer? Were we going to run out of fuel in the distances between roadhouses and the occasional town? Would we get eaten by crocs? What would happen if we got stuck?! We tried to gather details in each conversation about the journey. We knew that the track would be challenging and isolated and we wanted to be prepared. There was talk of endless kilometers of corrugation. I have not been on a corrugated road in the US, but perhaps they exist? For those of you unfamiliar, it feels like driving over an exaggerated rumble strip (the thing on the side of the highway to startle you if you drift too close to the edge). Once you hit a bad stretch, everything in the car is shaking and squeaking so much that it is impossible to have a conversation and it seems perfectly feasible that the entire vehicle is just twelve seconds from disassembling into its component parts right in the middle of the road. We hemmed and hawed over the decision and finally decided it was now or never. So we headed north from Cairns, spent several days in the rainforest in the Daintree before heading to Cooktown for a final round of supplies and gumption. 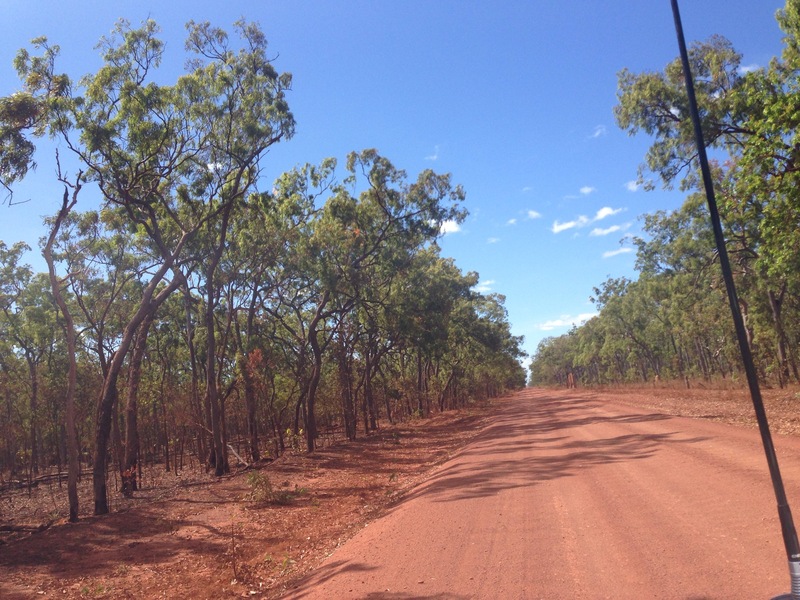 Once the land was stretching out ahead of us and the fuel stops needed to be measured, we became eager to get to the portion of the track known as the Old Telegraph Track or locally the tele track. This portion of track was the originally built as telegraph line connecting Cape York to the rest of Australia. Microwave communication obviated the need for the telegraph years ago and the track itself is no longer maintained making it a perfect destination for an adventure road trip. 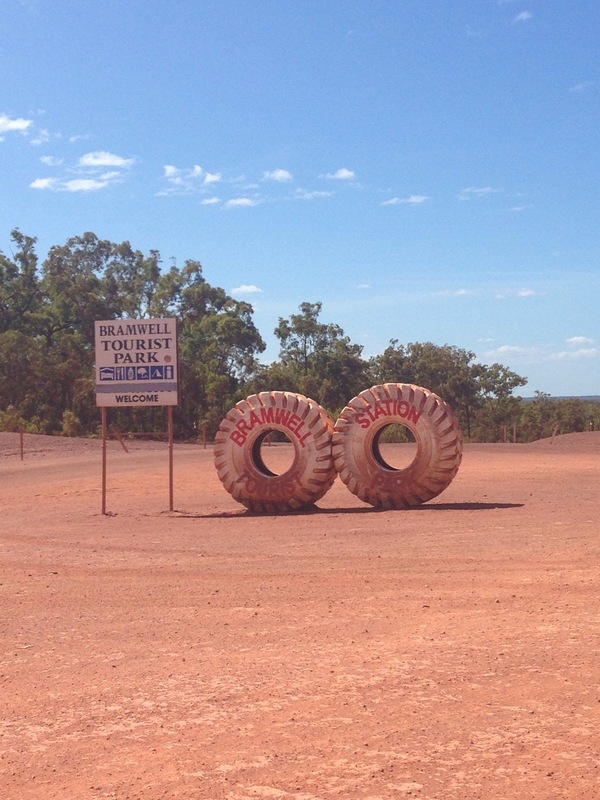 We spent two days heading 600km north to get to the start of the track. Each evening we would chat with other campers heading back down to understand the road ahead. Jay and I would exchange our learnings and hope that the sum of these tidbits was a reasonable shell of a plan. We weren’t sure. Last Wednesday we officially turned onto the track. The steepest crossing was the first one. It is a dry river bed with a fierce reputation. We assumed we would need to bypass it because we are towing a trailer, but at the last fuel stop before the track, we were encouraged to “go check it out” as it was only 4kms down the road. I laughed aloud when we arrived. It was too steep to walk down. The angles were absurd, the ruts were deep and it looked nothing like a drivable surface. We stood pondering and another car pulled up with friends from the previous evening. We walked the track together, identifying various hazards along the way. They decided to give it a shot. It seemed clear that gravity would make the approach into the creek bed inevitable, but the path out was anything but. 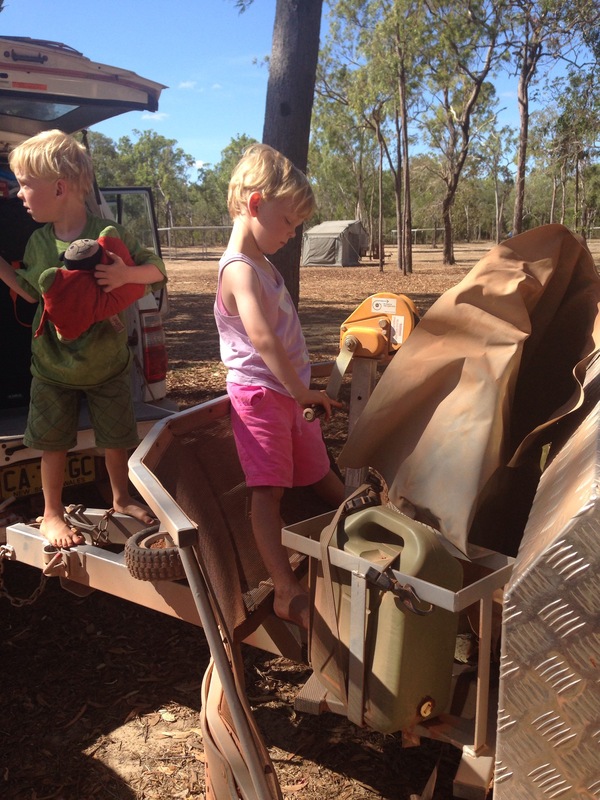 We all watched with a mix of horror and excitement as the ute (pickup) eeked, screeched and scraped it’s way down. It was time for them to drive out. 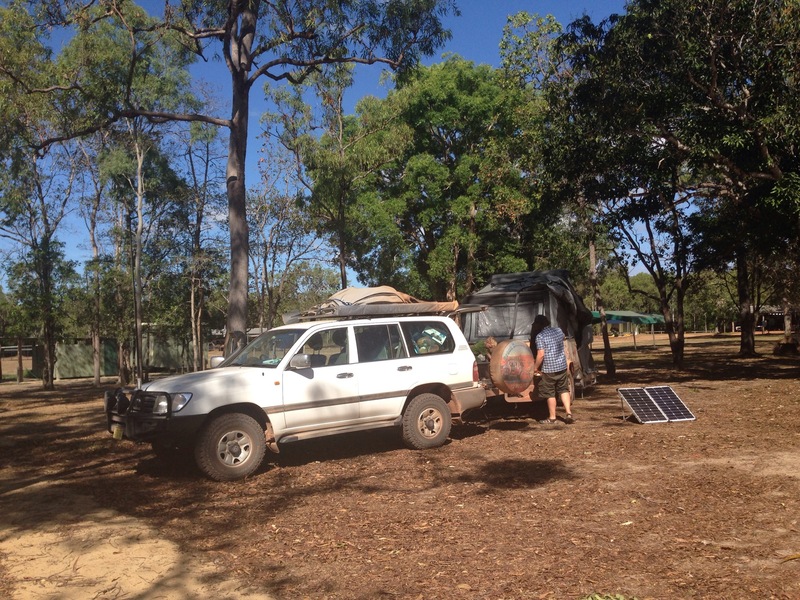 While we all watched from below the ute started to charge out, once at an incredibly awkward angle it stalled out. The driver inched backwards and gave it another shot and another and another. On the fourth attempt the car screamed and bounced over the top ledge of the bank and we all cheered. Then Jay and I looked at each other and said no way are we doing this with a one ton trailer. Stayed tuned for the rest of the story! I am anxiously awaiting part two!